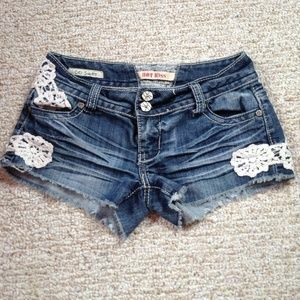 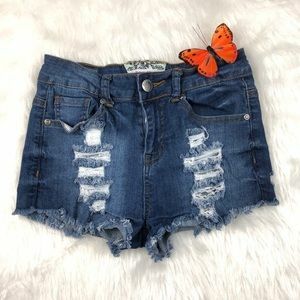 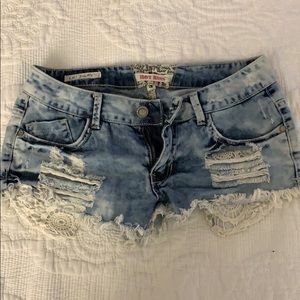 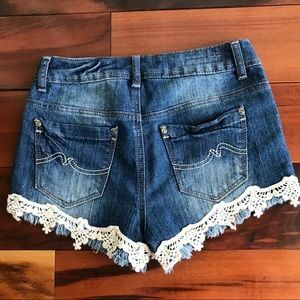 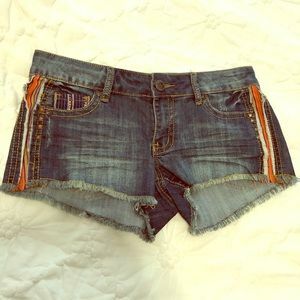 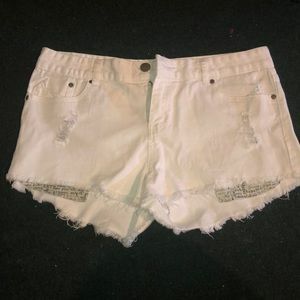 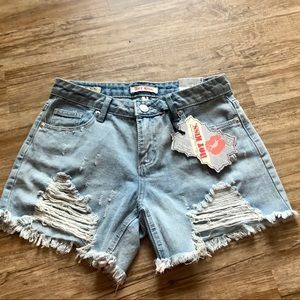 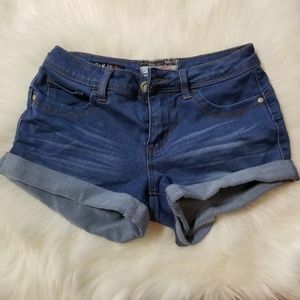 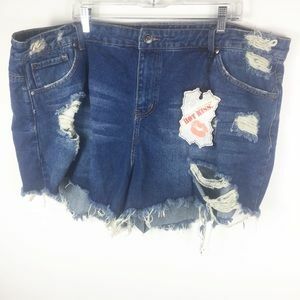 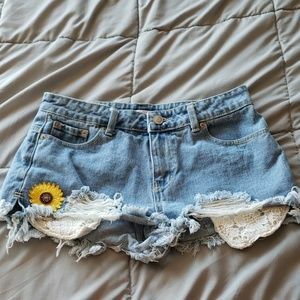 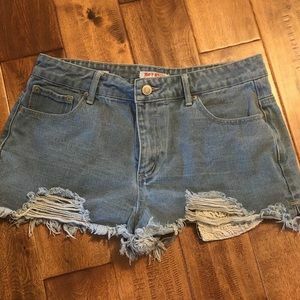 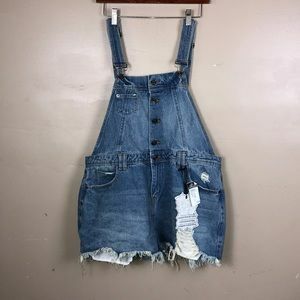 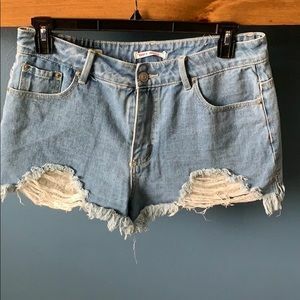 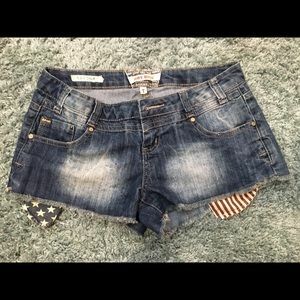 Hot Kiss Cici Shorts Distressed Sz 2. 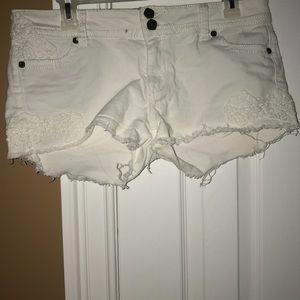 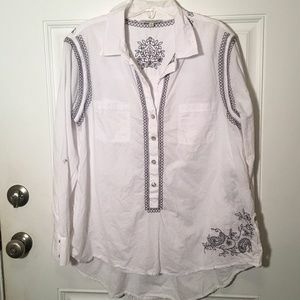 Light faded blue & white.. the white lace is torn in spots. 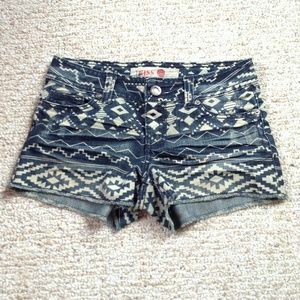 Good cond. 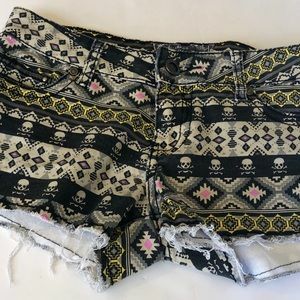 From smoke/pet free home. 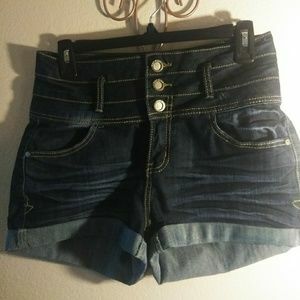 NOTEEEEE: I have more mini shorts , so check them out....Bundle 3 or more for 15% off.